We have moved to new premises at 8 East Fergus Place, Kirkcaldy, KY1 1XT. Our new building houses our office, an event space and our new community kitchen – The Lang Spoon. We’ll be launching a new programme of food and cooking activities, and new volunteer opportunities soon, as well as continuing our other events and activities, including our repair and reuse classes, bike borrowing scheme and cycling and walking activities. 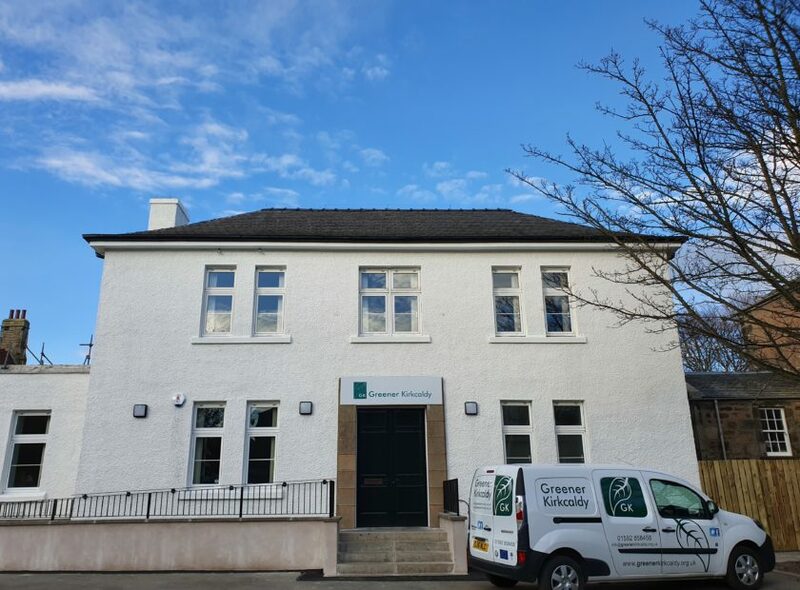 Our Cosy Kingdom energy advice service is also based in the new building, and we’ll also be a base for Kirkcaldy Foodbank from 1st April. We’re less than 5 minutes walk from both Kirkcaldy train station and Kirkcaldy bus station, next to Fife Voluntary Action New Volunteer House. There is limited disabled parking on site. Click here for a free personalised route plan to help you find the best way to visit us. We’ll be having official launch events at the end of April / start of May – keep an eye on our website for more details.